Ladies, ladies! We wish we could sit down for coffee and chat wedding details – and dresses! – with each of you all day long. When it comes to checking boxes off your to-do list, there’s definitely an order for things, and your dress goes hand-in-hand with the other attire selections for the day. 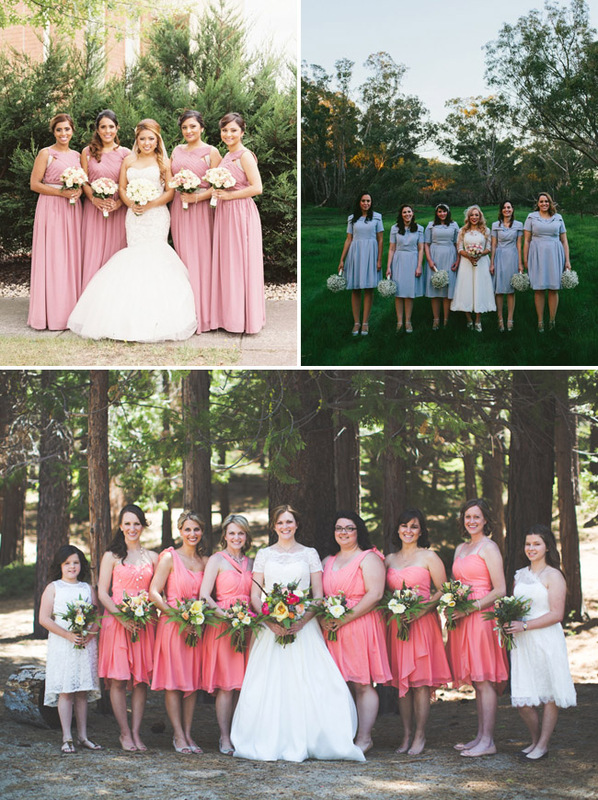 So once you’ve found your perfect wedding ensemble, it’s time to think about your bridesmaids. 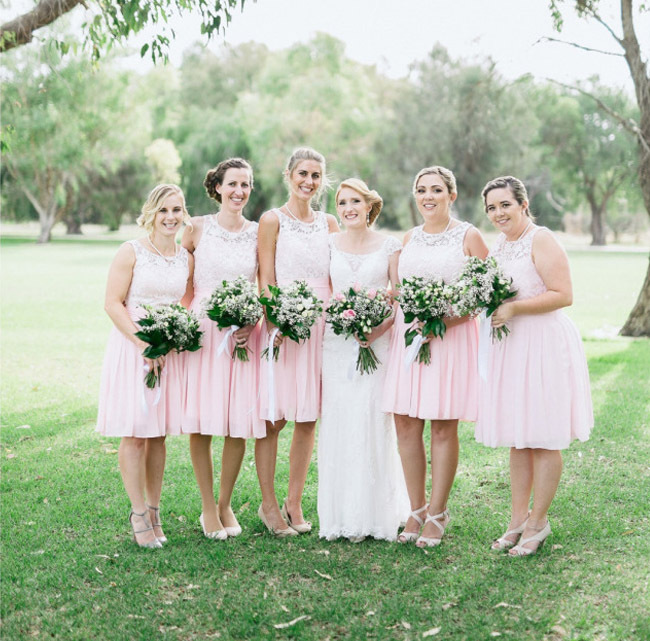 We know it can be overwhelming to figure out where to start, but with For Her and For Him, an online NYC based designer with an array of stunning bridesmaid dresses, it doesn’t have to be daunting at all! For Her and For Him ships worldwide + have a 100% return policy to eliminate any fear of online ordering. Their sizes range from 2-26W, but they also offer a made to measure option, where after you’ve shared some detailed measurement info with their design team, you’ll be guaranteed THE perfect fit! 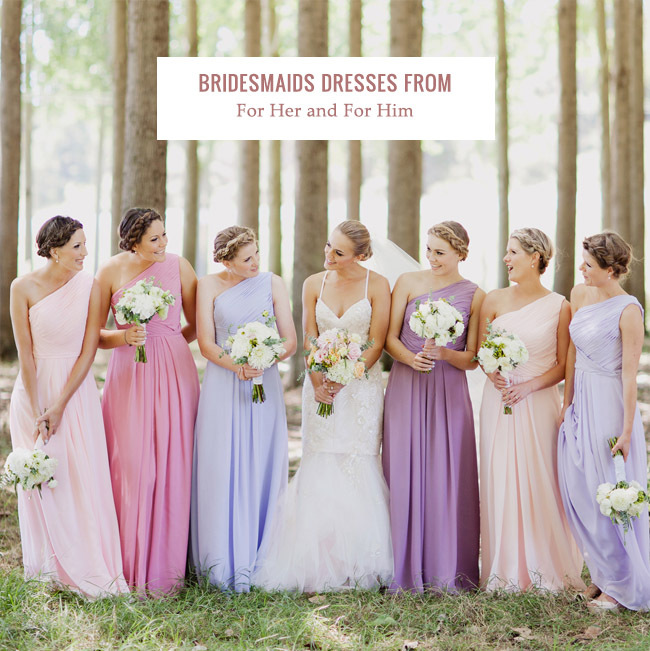 You know For Her and For Him has become a beloved staple in the wedding party attire market when you hear how their customers have shared hundreds of photos of their real weddings where the girls are rocking FHFH dresses! Aren’t the shots above so fun? We love seeing the dresses in action! For more real weddings, click here! They’ve also just released their gorgeous new 2015 collection of dresses – with over 100+ beautiful colors to choose from! 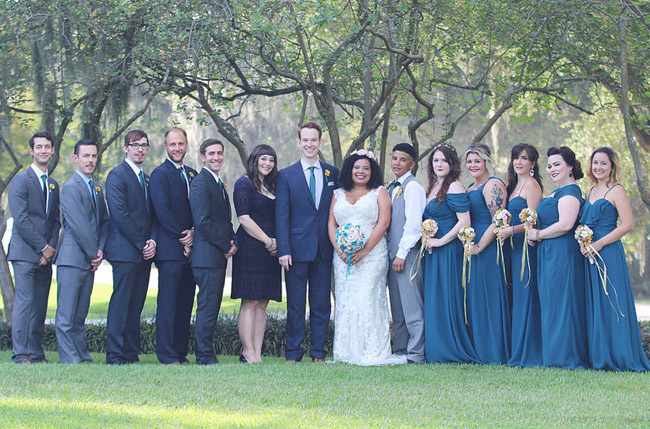 We’re swooning over those ethereal fabrics + dreamy silhouettes! 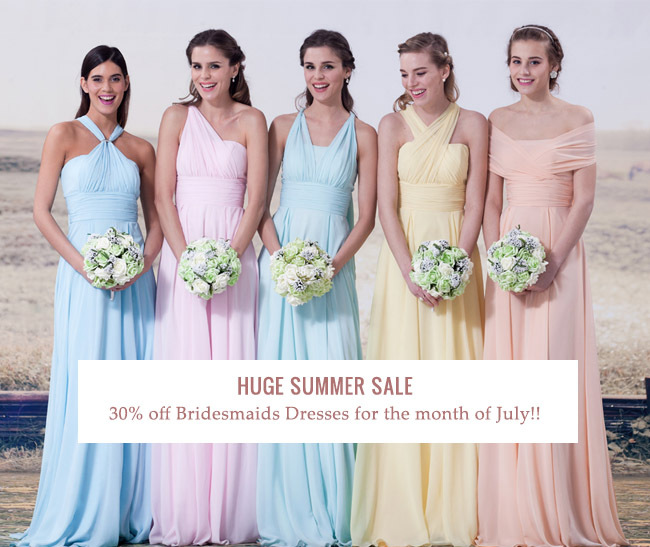 And we’re closing with some pretty exciting news: For Her and For Him is hosting a HUGE Summer Sale, where you’ll receive up to 30% off all bridesmaid dresses + extra bulk order discounts + FREE worldwide shipping, starting July 1st and ending July 31st! For more info, to browse FHFH’s stunning new selection + to shop the giant summer sale, visit their website today! * This post is sponsored by For Her and For Him. Thanks for supporting our sponsors! Great Photos ! thx for sharing !